Cape Elizabeth Lighthouse, on Cape Elizabeth, just south of Portland, Maine, was established in 1828. When it was built, it was one of two lights which worked together to allow navigators to find their position on a chart, and thus safely navigate the trecherous waters around Cape Elizabeth. In 1924, the Lighthouse Service stopped using twin beacons, and only the east light was displayed after that. 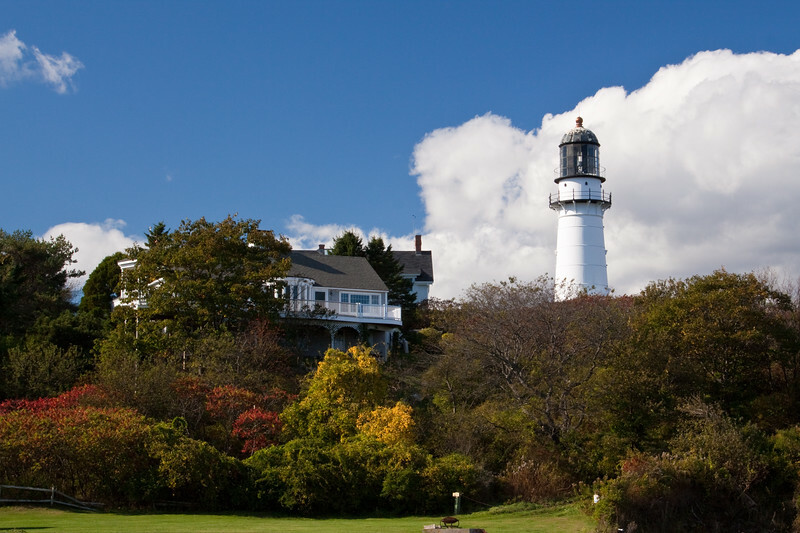 The east light, now known as Cape Elizabeth Light, remains in service, its flashing white light visible for up to 15 miles.